9940 - Target Germany, the U.S.Army Air Forces' official story of the VIII Bomber Command's first year over Europe. #6902 - Famous Bomber Aircraft - Bowman, Martin W.
The public are advised to familiarise themselves with the appearance of British aeroplanes. Its interesting that most of them seem to be by Bleriot. The reverse shows text extolling the virtues of the expanding aviation industry and its impact on employment together with a section on How to Destroy Submarines from the air. 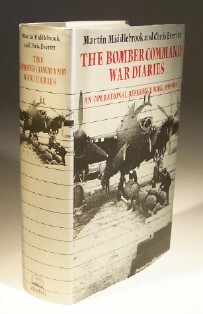 The authors not only undertook the gargantuan task of documenting every Bomber Command operation of the war but also of obtaining information from local archives in Germany, Italy and the occupied countries on the effects of the raids. The first entry 3 September 1939, North Sea and the last 2/3 May 1945 Kiel. 804pp and an amazing reference. 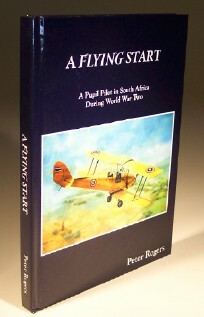 In 1940 South Africa had a mere 250 aircraft, military and civilian. Yet in less than five years it trained more than 33,000 aircrew for combat in the skies of World War Two. That, by any standards, was an achievement of magisterial proportions. 166pp illustrated in black and white.